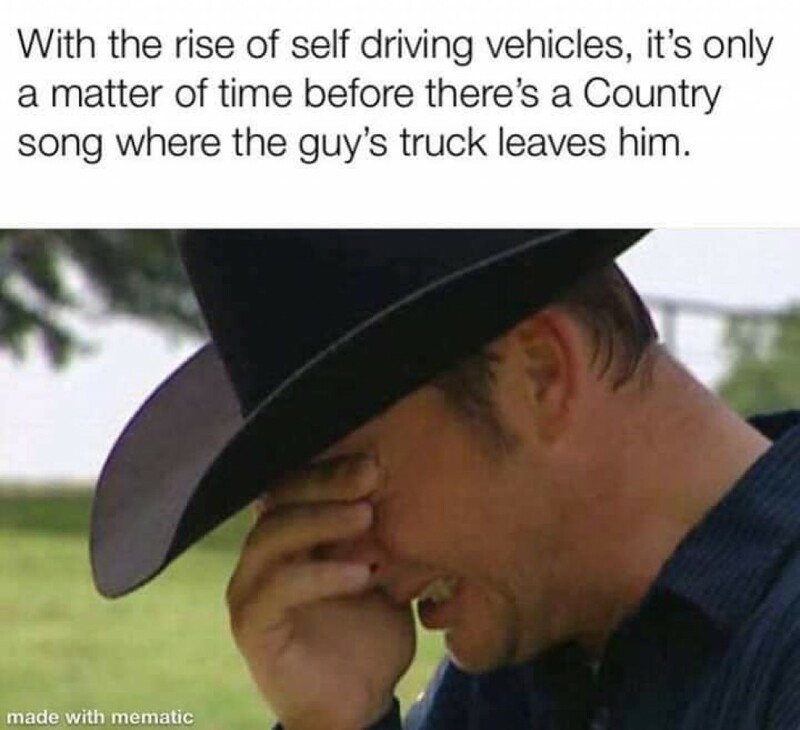 With the rise of self driving vehicles it's only a matter of time before there's a Country song where the guy's truck leaves him. It'll also be the end of repo-men; just remotely activate the "Summon"* function, homing to the lot. * Summon is Tesla's function which will tell the car to meet you wherever - usually homing in on your phone.